As most intensive computer users know, a heatsink�s performance will not reach its full potential if it does not have proper thermal compound to accommodate it. As most users know, Arctic Silver reigns supreme as arguably one of the best name brand of thermal compound out there on the market. Their use of micronized silver solutions are known to provide the best transfer of heat from CPU cores the the heatsink base. Recently, within the last month, Arctic Silver had released Arctic Silver 5, their newest thermal compound. Most users probably want to know how much more performance will they get out of Arctic Silver 5 than from its old predecessor, Arctic Silver 3. We�ll see how much more of a difference there is between the two. 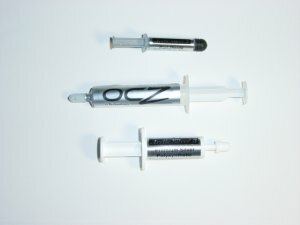 Arctic Silver has updated their Instructions on how to apply the Arctic Silver Series compound so it is important that users go here http://www.arcticsilver.com/arctic_silver_instructions.htm. 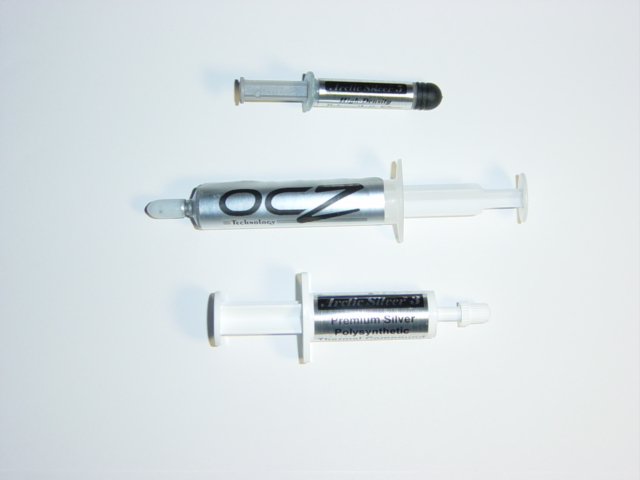 OCZ Technology was kind enough to let us review their latest thermal compound, the OCZ Ultra II. For those who don�t know, OCZ is one the most highly recognized for their RAM and their reputation is well known for their RAM�s overclocking abilities. Much like the Arctic Silver Series Thermal Compounds, the OCZ Ultra II also consists of micronized silver to insure exceptional heat transfer. The Arctic Silver 3 used in this review is not officially part of our review, but only used for comparison purposes. The reason for this is mainly because Arctic Silver has discontinued the production of Arctic Silver 3 and therefore it is just used to compare against the 2 other compounds used in the review.